I’ve been playing with Apache Zeppelin for a little while now, and have been really impressed. If you aren’t familiar with Zeppelin, it is a tool for creating interactive notebooks to visualize data. With the latest version, Zeppelin includes an interpreter for PostgreSQL and I discovered that you can use this interpreter to connect Zeppelin to a MySQL server and quickly visualize your data. 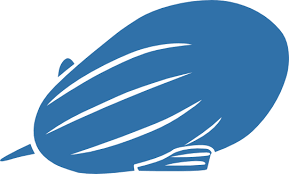 The developers of Apache Zeppelin just released a new version of Apache Zeppelin. The release notes are here, but it doesn’t look like anything too exciting. I’d really like to see an interpreter for Apache Drill that works with Zeppelin as well as either a generic ODBC/JDBC interpreter OR a MySQL interpreter. Both would be incredibly useful. Video of my Strata + Hadoop World NYC talk this year. Here is a quick iPython notebook I wrote up which demonstrates how to execute queries in Apache Drill using Drill’s RESTful interface. I’ve had a lot of difficulties getting Drill to “talk” to Python via JDBC and ODBC. I think the problems however are related to my computer’s configuration, but in any event, this code works.